Amy Hollingsworth and Jamie Leff are both longtime Palisadians with a passion for philanthropy, family and community. Together, the Coldwell Banker residential real estate agents make up Amy & Jamie Homes, a powerful partnership with, combined, more than 175 transactions under their belts. The Palisades natives are not only sisters in real estate, but also sisters-in-law and bring a sense of friendship and warmth to their clients. Amy Hollingsworth and Jamie Leff are partners at Amy & Jamie Homes. “The advantage is that we both have different strengths. We genuinely enjoy each other’s company, and I think our clients can feel that. We work really well together and love what we do. That’s so important. 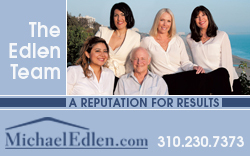 A huge plus about being a team is that one of us is always available for the client,” Leff told the Palisadian-Post. Jacqueline Primo: How long have you been in real estate and how did you get your start in the field? Hollingsworth: After graduating from USC in 1989, I started working for my family’s development company on a new housing tract in the Mountaingate community in Brentwood while studying for my LSAT. I enjoyed it so much I decided to get my real estate sales license and became the Sales and Marketing person for an upcoming project in the Palisades Highlands. This was a great opportunity to get to work through the entire process from start to finish. I helped choose the finishes for the homes, develop marketing strategies and sell the final product. Leff: My mom was a real estate agent for Coldwell Banker in Santa Monica. I remember watching her and admiring her ability to talk to people. She had such a knack for meeting people and drawing them in. She loved her job and was really good at it. I was in my early twenties and unhappily working at a PR firm when I decided to make the change and work with my mom. I never looked back. Primo: How did your upbringing help to shape you into the real estate professional you are today? Hollingsworth: Real estate is in my blood starting with my paternal grandfather who saved all his extra money from the poultry business to buy apartment buildings. I remember always following my father around to his projects on the weekends and learning firsthand about the process. My father was very supportive of my decision to pursue a real estate career and gave me a great start. Primo: How long have you been a team and how did this partnership come about? Hollingsworth: Jamie is my sister-in-law and has been part of the family since 2009. We have individually been in the business a long time and have always helped each other out whether it’s picking up each other’s kids so that the other can show a property or sitting on an inspection while the other is out of town. We formally became a team in June 2014 after Jamie had her second baby and decided to get back into the business full-time. Andrew Chiletti joined us around the same time and has been a very important addition to our team. He’s more than just our assistant. He has a sharp eye for detail and a thirst for learning. He’s a master at marketing and keeping us organized. 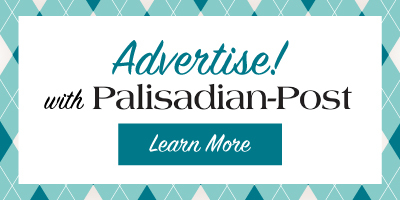 Primo: Do you live in the Palisades? If so, for how long and in which neighborhoods? Hollingsworth: Yes. I bought my first condo in the Palisades Highlands in 1990, then my husband and I built our first home in the Alphabet Streets where we lived before moving to the Huntington Palisades nine years ago. Leff: I was born and raised in the Palisades. I grew up in the Riviera in a house that still sits in its original condition. It brings such great memories every time I drive past it. I went to Palisades Charter High School and enjoyed every minute of growing up here. I’m convinced there’s no better place! So to no surprise, my husband and I moved back to the Palisades from Santa Monica in 2011 once we had kids. Primo: How would you describe your dream homes? Hollingsworth: My dream home would be a place to welcome our family and friends. I love having people over and entertaining. My husband has serious barbecuing skills so we really enjoy throwing a BBQ in our backyard. Leff: Comfort. That’s how I would describe my dream home. I love contemporary architecture and design. I know it can be difficult to balance comfort and style, but there’s something I really love about sleek minimalist lines. My husband is a sucker for a good view but for me, I really enjoy being close to town. I love feeling like part of the community.